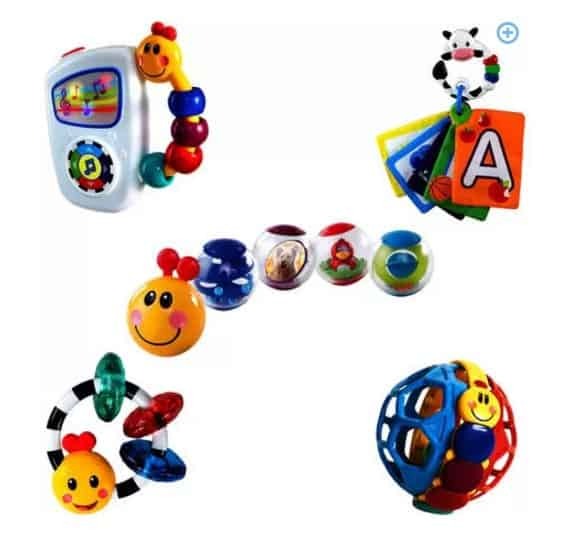 The Baby Einstein Discovery Essentials 5-Piece Gift Pack is on sale for $19.88 at Walmart.com right now. That's $10 off the regular price of $30! And ends up being just a little more than $4 per toy! From teething to on-the-go fun, this gift set covers everything baby needs! Complete with some of the top-selling Baby Einstein toys, the Baby Einstein Discovery Essentials 9pc Bundle is the perfect gift for little explorers. It features Take Along Tunes toy, Bendy Ball, Teether-Pillar toy, Take Along Discovery Cards and Roller-pillar Activity Balls. Little hands can grasp and explore with these diverse toys that make discovery fun.